Another remarkable surprise reception of my JT65 signals was noticed on Sep, 9th, 2016. 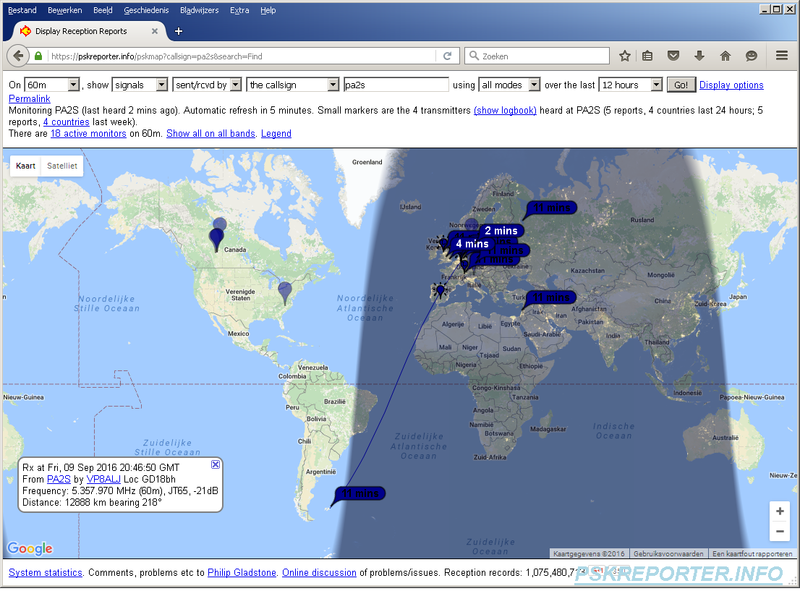 VP8ALJ apparently had a receiver running on 60 meters and copied my signal with -21 dB. Not only a remarkable distance (nearly 13,000 km) but also showing what 60 meters has to offer. Thanks to VP8ALJ for his effort!